OVARIAN CANCER TREATMENT: Ginger may be a powerful weapon in the treatment of ovarian cancer. Research on cancer shows that ginger powder induces cell death in all ovarian cancer cells to which it was applied. COLON CANCER PREVENTION: Research has also proved that ginger may slow the growth of colorectal cancer cells. PAIN AND INFLAMMATION: One study showed that ginger has anti-inflammatory properties and is a powerful natural painkiller. HEARTBURN: Ginger has long been used as a natural heartburn remedy. It is most often taken in the form of tea for this purpose. COLD AND FLU: Ginger has long been used as a natural treatment for colds and the flu. Many people also find ginger to be helpful in the case of stomach flus or food poisoning, which is not surprising given the positive effects ginger has upon the digestive tract. MIGRAINE: Research has shown that ginger may provide migraine relief due to its ability to stop prostaglandins from causing pain and inflammation in blood vessels. MENSTRUAL CRAMP: In Chinese medicine, ginger tea with brown sugar is used in the treatment of menstrual cramps. 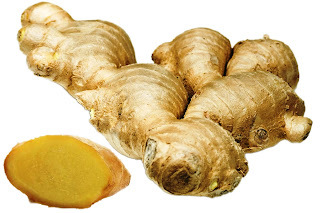 DIABETIC NEPHROPATHY: A study done on diabetic rats found that those rats given ginger had a reduced incidence of diabetic nephropathy (kidney damage). Hi.. It's good to have your post regarding the natural benefits of Ginger in an essential way that seems to be good for health, Nice share.. Thanks.